In 12-inch skillet, melt butter over medium heat. 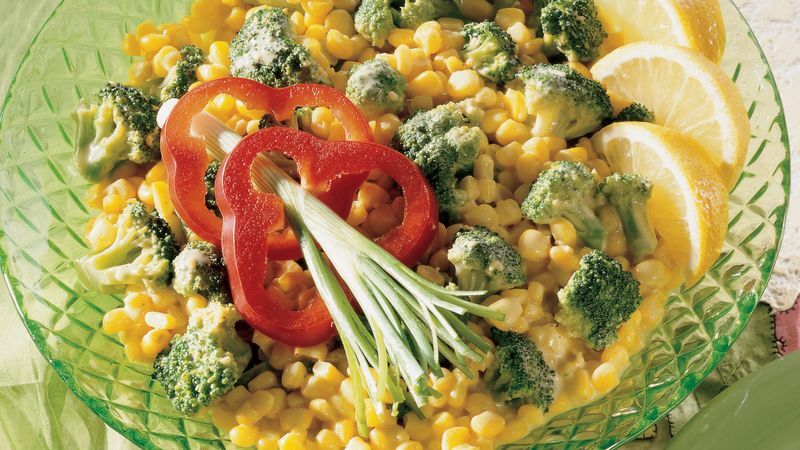 Add broccoli and corn; stir to coat. Increase heat to high; add water. Cook 3 to 5 minutes or until broccoli is thawed, stirring occasionally. In small bowl, combine whipping cream, curry powder, garlic, gingerroot, salt and pepper; mix well. Stir into cooked vegetables; cook 2 to 4 minutes or until vegetables are crisp-tender, stirring occasionally. Serve with lemon wedges. Garnish as desired.